All equipment provided, just turn up on the night get a tour of the club and start playing! 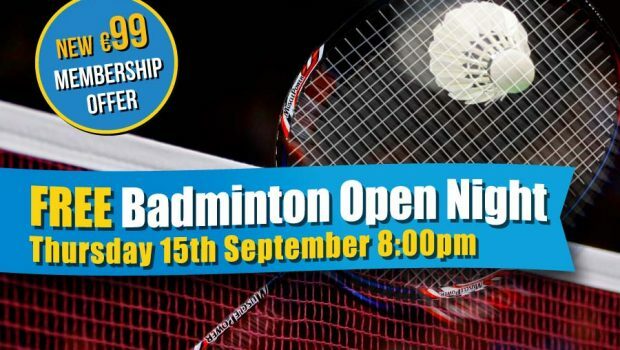 AND why not avail of our New Membership Offer: 3 months up to Christmas – only €99 with 4 FREE Badminton lessons included. With this New Membership Offer, you can play tennis, badminton, squash and table tennis. Juniors & Family offers also available – phone Conor at Sligo Tennis Club on 071 9162580 for further details.